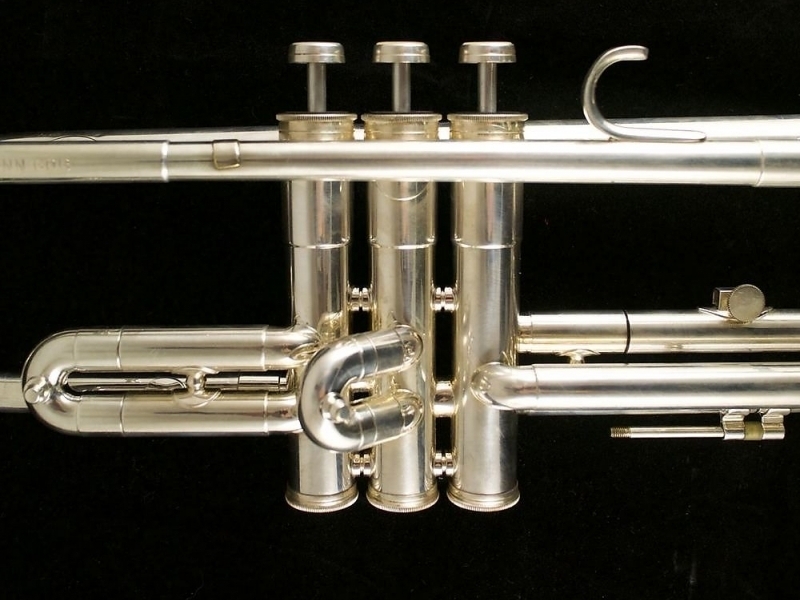 The "Super Connstellation" as they called it, a very rare trumpet indeed! 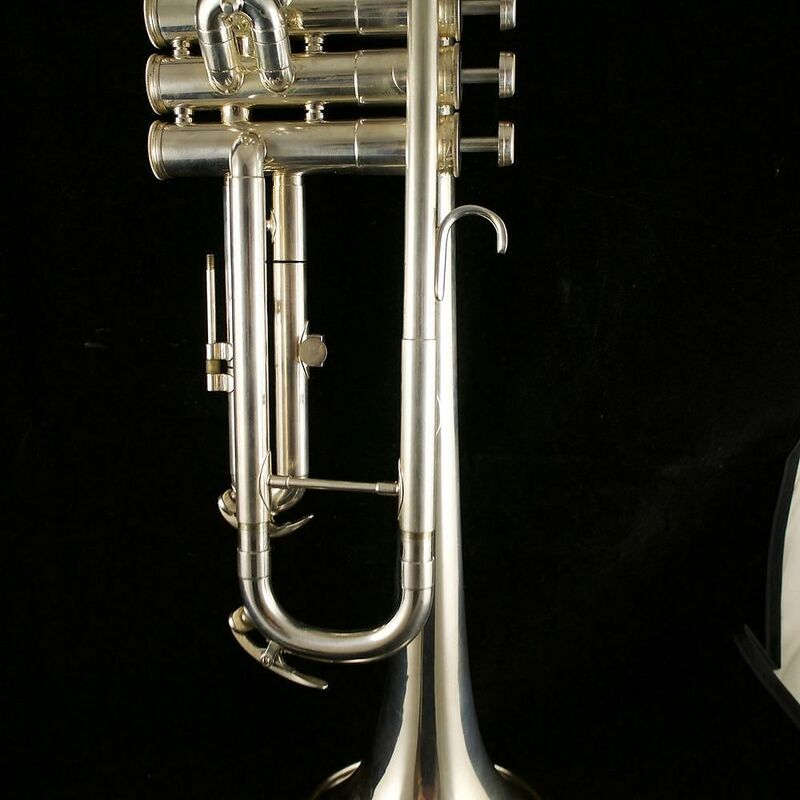 We have just fixed this horn up in the shop and it plays great. 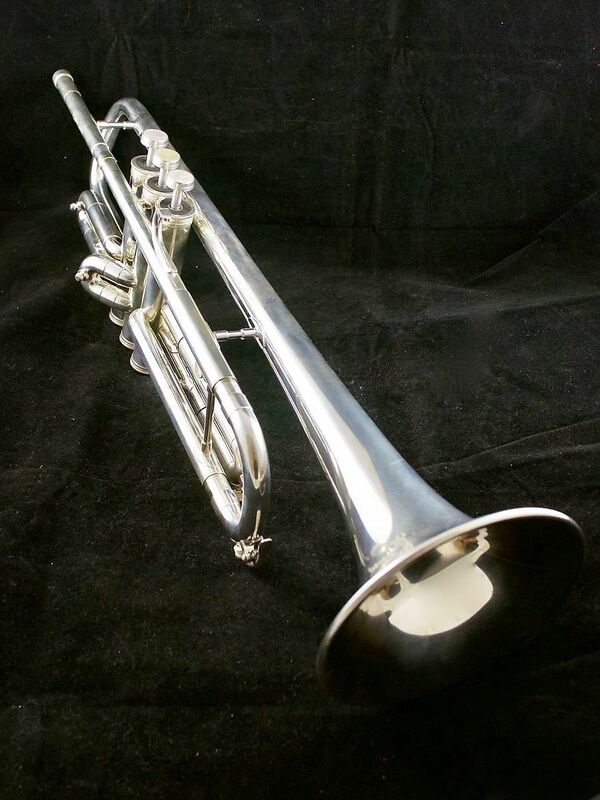 We cleaned it, took out some dents, gave the horn a quick valve alignment, and it’s good to go. 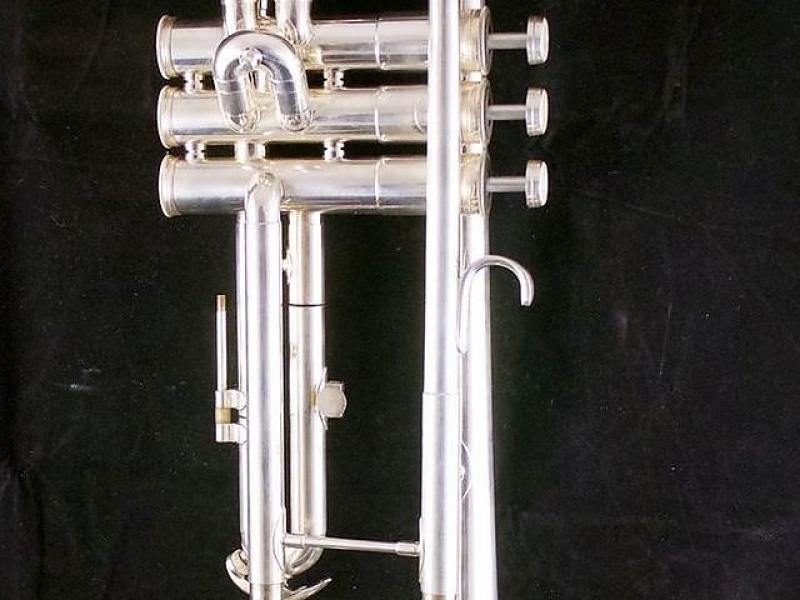 The horn has one small protective patch on the mouthpipe but there is no red-rot. 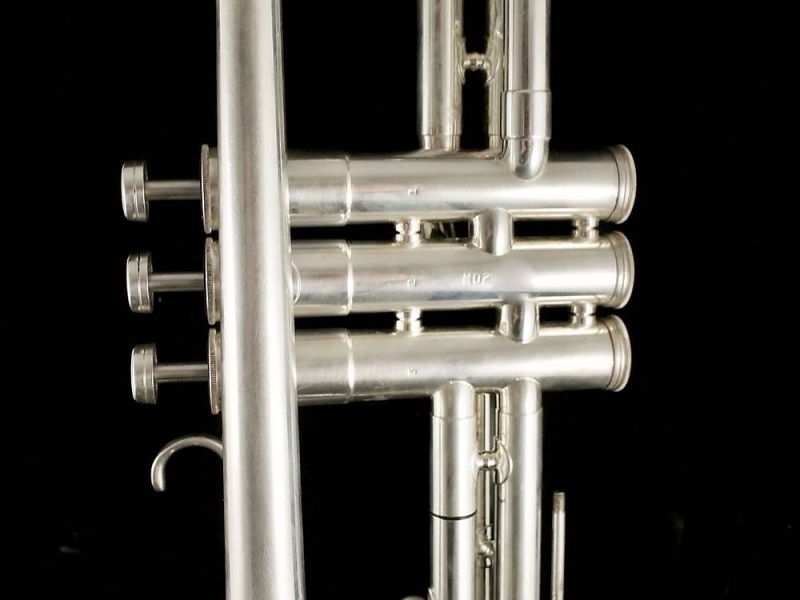 Valves are nice and smooth. Superb bright sound and clean response. Original case is in the nice shape and has the original case cover even. 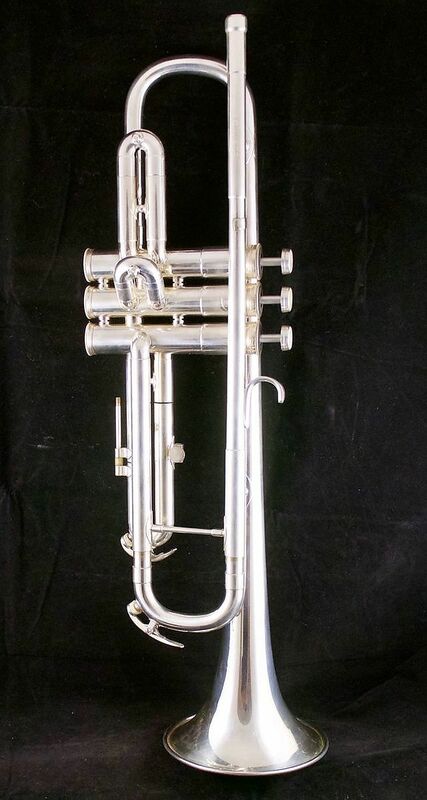 Someone took care of this horn in the past! Some signs of scratching throughout but for a horn this age and this rare it’s fine to me. "Not the most imaginative name. It really is called the "Sixty-B". 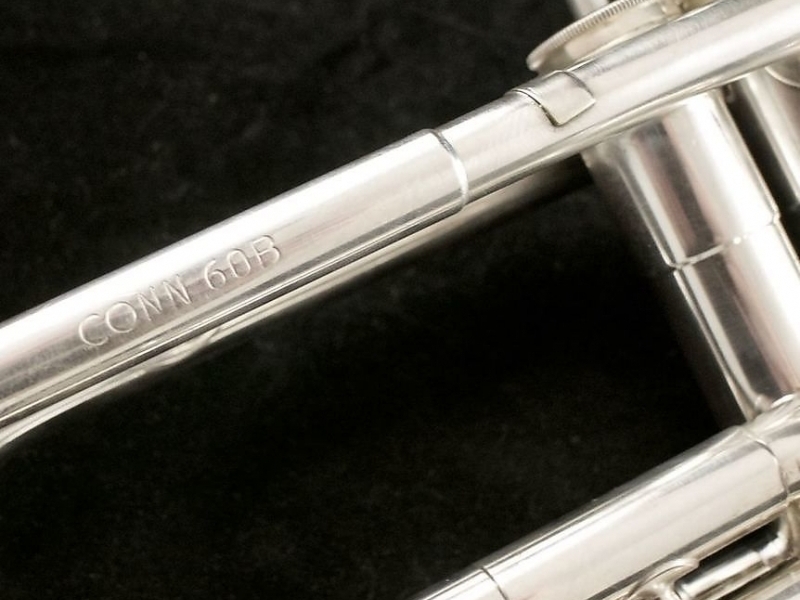 In 1967 Conn started to produce the 60B, and it lasted at least through 1972. 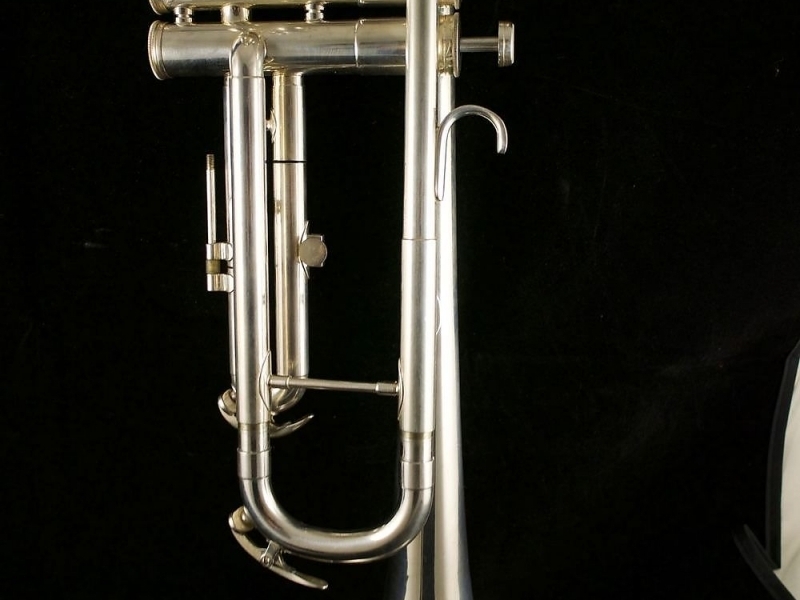 It had a #1½ bore (0.458") and top spring valves. 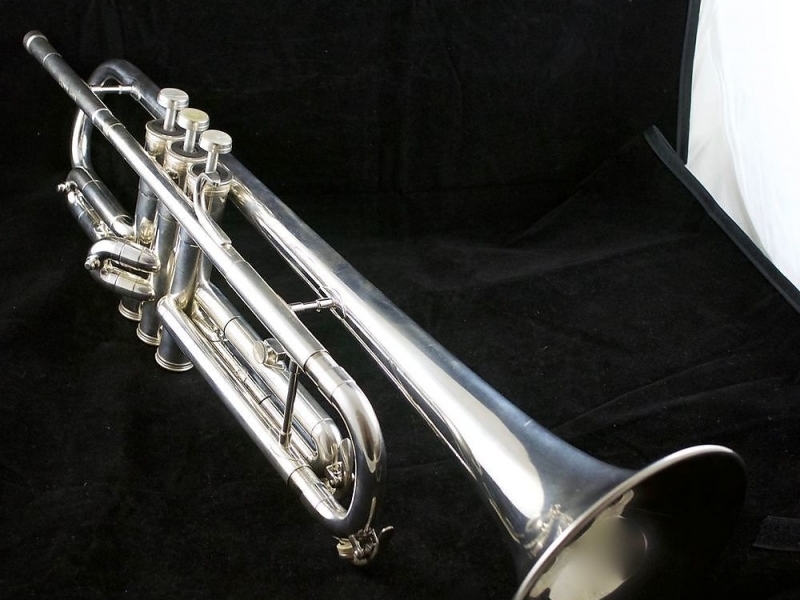 It was available in standard brass and with a "bright silver finish". 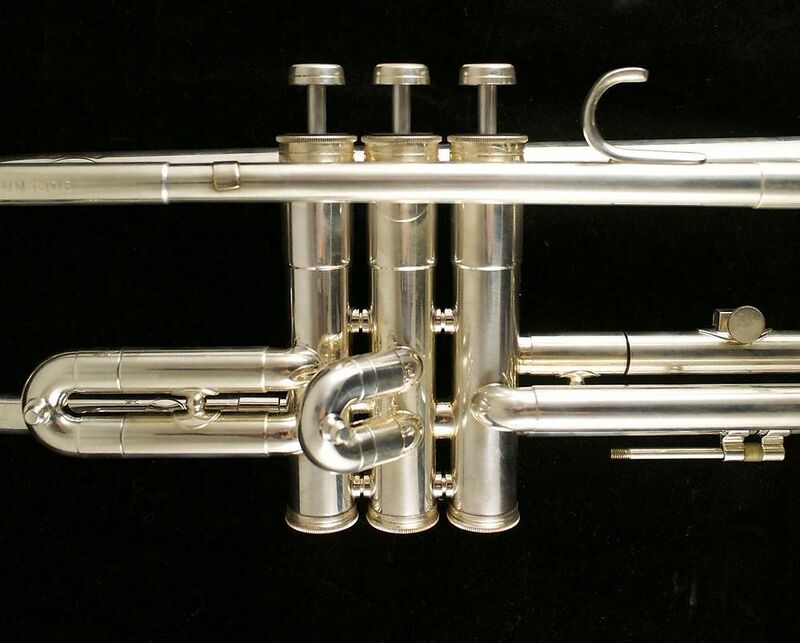 I am told that the 60B was play tested for Conn by Buddy Childers and Gene Goe. I have been contacted by a gentleman by the name of Bill Bracker who was an Inspection Supervisor for Conn at the time. 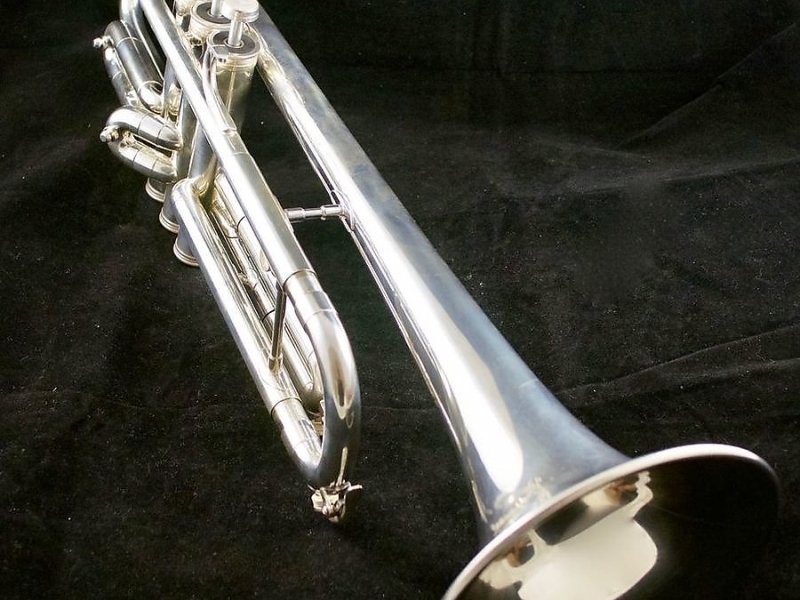 He tells me the official name for the 60B was "Super Connstellation". 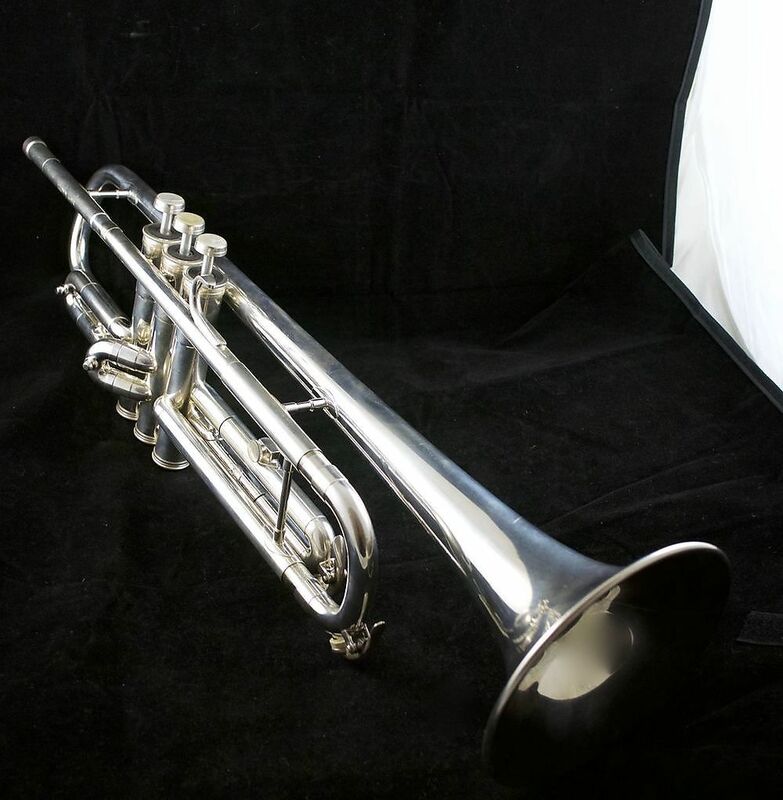 One of Conn's clinicians at the time, the trumpet player Jerry Franks, was responsible for the design of the 60B and had the very first 60B prototype. 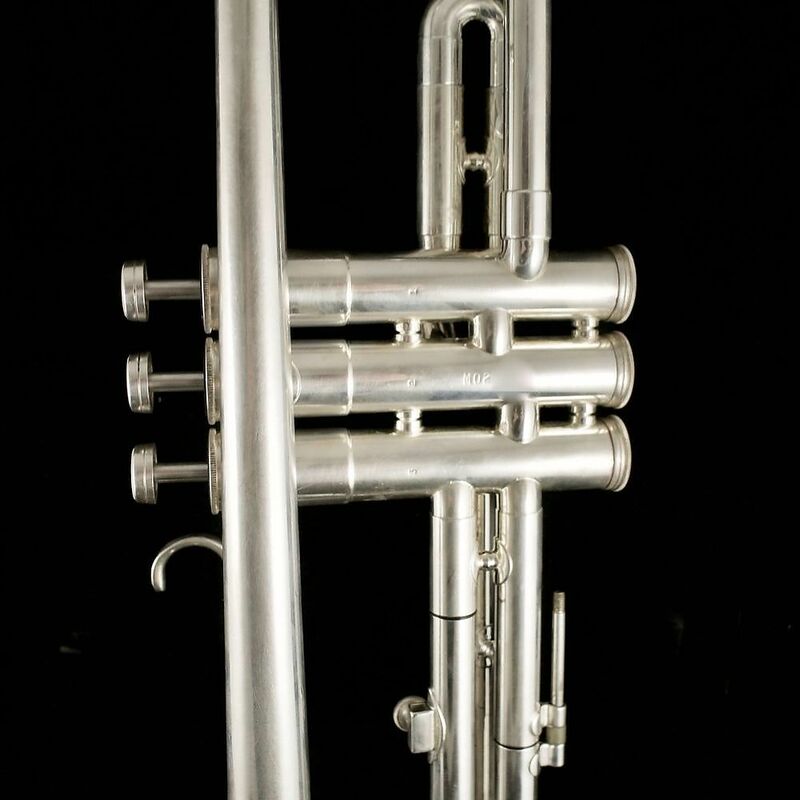 Mr. Bracker tells me that the first production run of 60B's could not be sold as first line production; they were sold as seconds. The problem in production was easily fixed for the second production run. 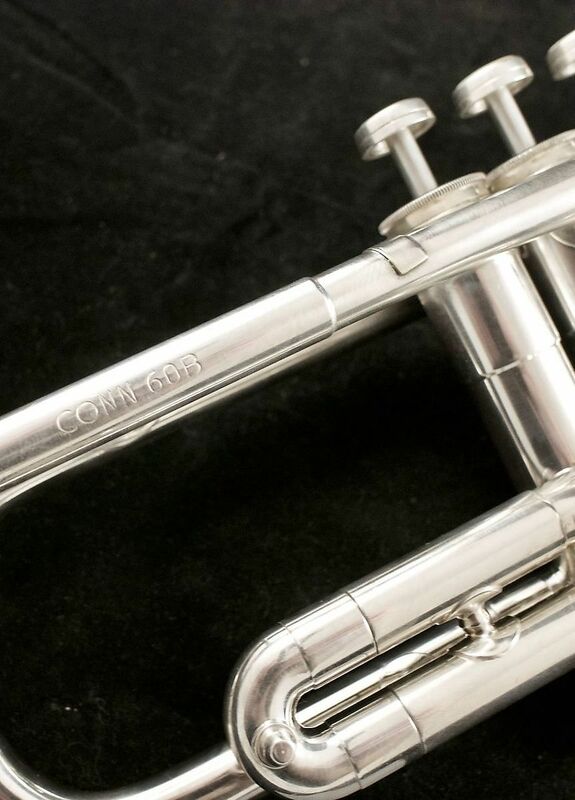 The most versatile, the finest trumpet ever created by Conn. .. designed for the professional. Extremely light weight. Includes three sets of interchangeable finger tips. Completely new acoustical and mechanical design throughout. 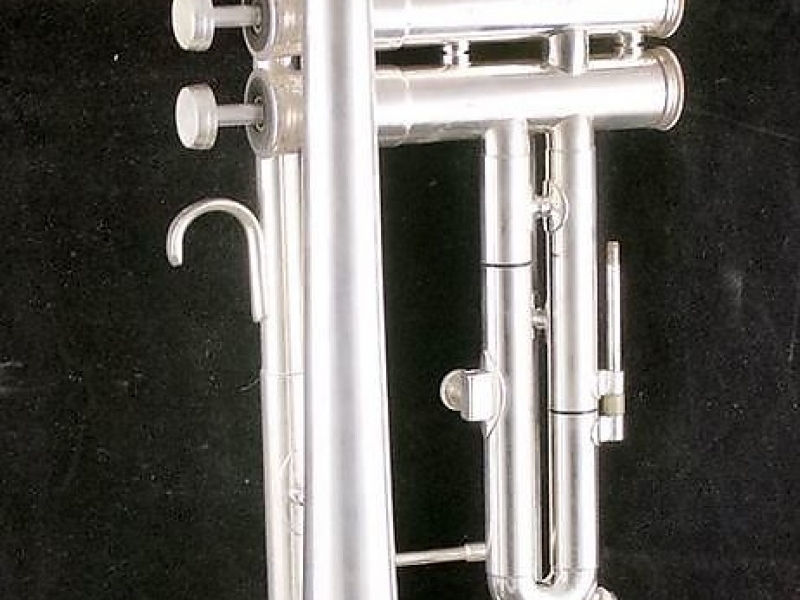 Ideal for studio, recording, solo or band work. Length 21 5/8". Bell 4 5/8"."